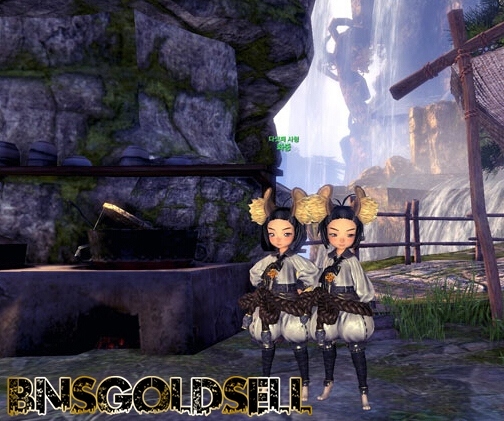 If you are purely pursuing for making Blade and Soul gold in game, this guide is good for you to introduce some useful methods to make gold with high XP rewards and breakthrough items. Most of these methods requires gear and might be your best choice when you can’t enter the endgame dungeons. Since one of these dailies requires killing 100 enemies, it is strongly recommended you do them with a group. This area offers a mediocre amount of Blade and Soul gold but decent amount of EXP. Also, you can obtain some essences which can be sold for a few extra silver. Head over to Herbalist’s Lodge, you can pick up all the dailies from the noticeboard. It is not necessary to do all of them. Firstly, choose the dailies which require killing tribe warriors and birds to do. Then move north to kill the snow dragon captain and then the yetis and mini boss. At last, you can kill the rabbit warriors a bit further north. You should complete at least 5 dailies, and you can earn roughly 2.5g for minimal effort. This is a fairly long dungeon unless you are running with an over geared group. It doesn’t offer much gold but drops breakthrough accessories and pirate emblem. With the rising Machismo Prices, this has become more desirable to complete daily. If you are lucky, you may obtain a skill book which is worthy of 60-120g. You can obtain decent gold from these three dailies, bids on relic pieces and other drops. It is suggested you gear enough as it is quite long and most groups look for higher geared players so that you can most likely do Silverfrost Purple Dungeons for better rewards. This is the easiest of the Moonwater Purple Dungeons. When you aren’t geared enough to be accepted into the more difficult dungeons, this dungeon is also good. The Rewards Chest guarantees 2 Perfumes. What’s more, it drops breakthrough accessories. These dungeons are pretty short and easy to complete but don’t offer much Blade and Soul gold. However, they offer a great amount of XP as well as XP charm fragments. Skip out on Tainted Lab since it takes much longer to complete. These dungeons are pretty short and easy to complete but don’t offer much gold. However you also get a small share from bids on the 2 Moonwater Tears that drop off the boss. If you are lucky and one of the expensive recipes drop, that’s a nice split of 20-50g.